Every single day, my team of wedding coordinators and specialist are asked by prospective customers, current clients and new brides to be, what differentiates you from your competition. My canned response is that “experience” is by far the best teacher. There’s a theory in professional sports that you have to spend 10,000 hours working on your technique to perfect it, and at Lakeside Weddings and Events, we have done just that. We used real-time feedback, and continuous customer queries, to reshape our product and our identity. From the early days of having just one coordinator, experimenting with the unexpecting reception and ceremony clients, to the trial and error evolution of the bridal experience, we have strived to stay fresh and one step ahead of our competition by just listening to our customer needs. Our outdoor locations provide a competitive advantage, particularly when your operation is located in the dry and arid desert environment of Las Vegas. But we have married an extraordinary weddings location, with exceptional people, the right mix of ambiance and a wide assortment of food and beverage. Our Lakeside location really is an oasis, and we have created wedding packages that caterer to all needs, and most budgets. However, being successful hasn’t changed our desire to help deliver the best possible user and customer experience. Our wedding specialists spend 1,000’s of hours each year, tailoring and tweaking events just so that each experience is unique to the end user. Another important aspect in our pursuit of the enhanced customer experience is our ability to aspect criticisms and learn from our mistakes. We estimate that we have conducted, over 7,000 ceremonies and reception events over the last 15 years, and have always improved our processes when things haven’t gone 100%, the way our clients have envisioned. We are human, and aspect the responsibility of conducting that day which is often the most important in a person’s life. We encourage our clients to check out our competition. When is the last time they updated their pricing, improved their infrastructure, or innovated their offerings? We monitor our direct competition every day, and our specialists can also provide real insight into the marketplace if that’s what is required. We are often willing to do this for clients, who may not feel like Lakeside meets their every requirement, preferring that all those that interact with the team will gain and benefit from the experience they have. For potential brides and grooms, there is a checklist of essential variables or criteria that must be satisfied before making that critical decision. Whether that stems from price, variety, location, size or just the friendliness of the professionals you interact with, we strive to identify and speak to each concern. At Lakeside we focus on three core areas. An exceptional location, whose memory will last a lifetime. A quality user experience, built on a foundation of 1,000’s of prior encounters. A price point that blends the right number of features that balances each special occasion perfectly. By far our biggest competitive advantage is our Lake location. We have 5 ceremony sites and 3 impressive reception facilities. The Heritage Garden and Asian themed Grand Garden ceremony locations are the most popular, with our Swan Garden and Waterfall Gardens offering clients a slightly different experience. The beauty of our facility cannot be understated, and for those brides and grooms looking for that wedding day that is unlike other event facilities, Lakeside Weddings separates itself from all the rest. Moving on to our reception capabilities, we designed our operation with variety at the cornerstone of each decision. Newly renovated, our Grand Garden and Swan Garden reception sites cater to different tastes and needs. Our Swan location has a grand ballroom feel. This well-appointed banquet space caterers for up to 200 people, with its attached glass solarium and adjacent garden courtyard it stands out when compared to what other Vegas wedding venues have to offer. Our Grand Garden site, by contrast, provides a modern contemporary theme. With its roomy, comfortable feel, lush landscape and water surround, we have created a beautiful setting for the perfect wedding experience. Our clients enjoy themselves year-round, in this climate-controlled courtyard styled setting. With the ease of access from its adjacent ceremony venue, the Grand Garden allows patrons the ability to relax and move around the event with little hassle. Finally, and of real importance to the Lakeside team, is that we provide a location for those individuals more cost-conscious who still want to have the benefit of the amenities, skill, experience, and expertise provided by Lakeside Weddings. The Waterfall Garden location allows for such events. With pricing fit for most budgets, this site was established so that we can take care of a variety of needs. The waterfall backdrop provides a great way to expand our own water theme that is different from the other choices Lakeside has to offer. With packages that start at under $5,000, we plan to expand our marketing efforts so that we may capture a broad and wider type of clientele. At Lakeside the importance of location is critical to the buying decision. One, in our opinion you should never compromise on. After all aren’t those memories and images captured what allows this special day to endure the tests of time. As for our experience and the quality of the overall product you get, we always hope, that we exceed your expectations. In this regard, history and continuity matter. 15 years of excellent continued service is still on display; no task is considered too small, or too big. Trust is a factor that cannot be quantified; you must be comfortable with the partners you have entrusted to make your day great. Working toward total enjoyment and away from undue stress is what we aim to do. We are always there to listen, plan, and guide you to a complete wedding experience. Be indulgent! This should be a life-changing day. Treat it as such. We want to make sure enjoyment is high on the agenda. That’s why we emphasize a quality, clean, food and beverage. Different applications to fit various themes, tastes and requirements. We make a choice simple, and easy to navigate. Chef Manny with his 20 years in the business, is a skilled and accomplished practitioner, and if we don’t provide it, he’ll make it on request. Over the years we have also improved our in-house amenities, to include an onsite floral and décor shop, tailor, and hair salon, for all your bridal and mobile beauty needs. So, whether it be the hip new hairstyle, or that special day decoration and floral arrangements we can handle it all in one location. 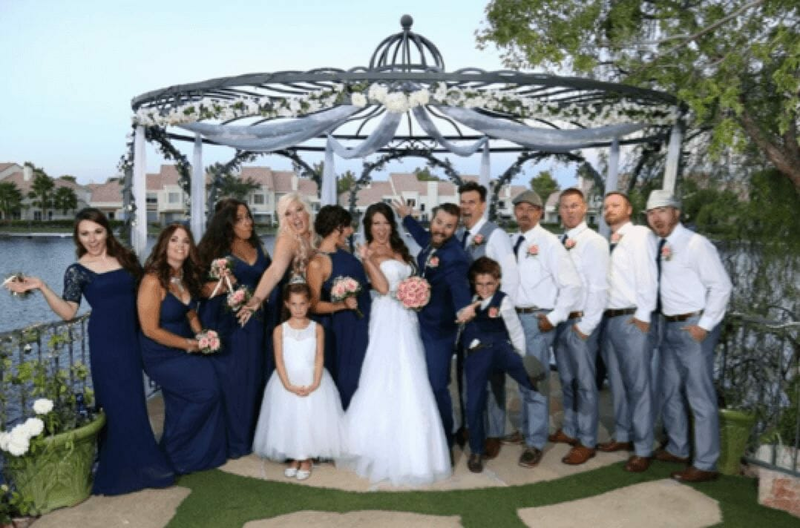 Hopefully, I have provided some additional input that helps create some context for why we are different from our competitors, what the real value of experience is to make this important day stress free and memorable, and why Lakeside Weddings stands out as the premier location in Las Vegas for weddings and events. Get to know us. Feel free to call or stop by at any time or reach out and ask one of our specialist for a more information. We are always happy to assist and on hand 7 days a week. Whether you start your buying decisions with us, or are at the end of your discovery process, make sure you include Lakeside Weddings and Events in your review of available options. Drop all comments online at https://lakesideweddings.com/contact-us/ and whether you get over to us or not, congratulations and best wishes from everyone at the Lakeside Weddings and Events campus in Las Vegas Nevada.